Willing To Learn Gin’s floral, herbal characteristics are well balanced by it’s bright citrus presence. This botanical forward Gin’s flavour and aroma is attributed to juniper, rosemary, licorice root, angelica root, coriander and cardamom . The citrus notes coming from grapefruit, orange and lime offer a crisp refreshing finish. 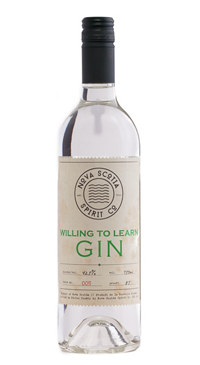 The intense aroma and flavour profile make this over-proofed gin (42.5% ABV.) versatile to enjoy in cocktails, Martini’s, mixed drinks or on it’s own.